As I write this, I ponder the timing of this potentially new legislation. For us planners (and those financially savvy individuals), it sure doesn’t give us much time to act, especially if we are to implement any 2017 year-end moves. Please remember this bill is not yet law. The information I am using is up-to-date as of December 18th and based on the conference bill, so any changes after this date might render this document less relevant. In summary, the proposed tax changes can be seen as a give and take. You will probably lose some deductions but possible gain credits….and more than likely, you will see your marginal tax rate drop. Most everyone will see their marginal tax rate drop. This is your tax bracket. While your tax bracket may drop, your total tax liability could remain similar to 2017 levels….and a few could see an increase…. but, most clients will see a total tax liability reduction. The child tax credit will double to $2k per child and the income phaseout will dramatically increase to $400k for those married filing jointly. Some of you who were not able to capture this credit in the past will now be able to. 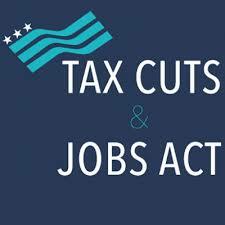 Those who have small businesses (other than C Corps) will receive a 20% deduction of income. I am not sure how this will impact the bottom line yet, but as we move into 2018, we will certainly discuss and implement into our 2018 tax projections. The top corporate tax rate will be reduced from 35% to 21%. Limitation of state and property taxes to $10k. For most of my TN clients, this will not impact your taxes, but for those who live out of state this could be a needle mover. If your tax return shows more than $10k in state and property taxes, you may consider prepaying your Q4 state estimated taxes and/or property taxes before year end. While there is debate whether or not congress will allow this move, it may make sense to try. If you will lose a portion of this deduction in 2018 by the $10k limit, you have nothing to lose by prepaying….AS LONG AS YOU WILL HAVE AT LEAST $10K IN REMAINING STATE AND PROPERTY TAXES PAID IN 2018. The “Pease” provisions that limited itemized deduction has been dropped. This means itemized deductions will not be limited based on income in 2018 and in the near future. I have spoken with many of my clients about charitable giving at year end for 2017. I still feel confident that giving in 2017 makes sense. With tax rates dropping, my higher wage-earning clients who donate to charity will benefit by completing our charitable giving plans for 2017. In the future, charitable giving will also make sense, especially without the limitation of itemized deductions. 529s may become more appealing. Most of you know my stance of 529s is to not over fund ( for several complex reasons). The new tax bill adds a provision that allows a distribution up to $10k annually for elementary and secondary private and religious education. This also includes expenses for home schooling. For those of you with young kiddos who will/do send them to private schools, this will be a new discussion in the upcoming year for us. Mortgage Interest Deduction will stay in place but a bit modified. Mortgages that are in place currently are grandfathered in based on 2017 law. New mortgages (with binding contracts after Dec 31, 2017) will be limited to $750K. The new law will allow this deduction for 1st and 2nd homes, so no change there. A big change does come for HELOCs(Home Equity Line of Credit). Any HELOC interest will NOT be deductible moving forward. This means it may be wise to roll any HELOC debt into a mortgage, especially as 30 year fixed rates are still appealing. Again, this could possibly be a planning opportunity and would require some analysis to see what works best in your situation. AMT will remain in effect but with higher threshold limits, which will reduce AMT tax for many of my clients. For those of you who might be considering an off-exchange health care plan for 2018, the individual mandate will go away. This means there will not be a penalty for getting health insurance through a non-ACA plan. A word of caution though, I advise a thorough review of the plan as many off-exchange plans have waiting periods for pre-existing conditions. While this is the bulk of the applicable provisions affecting many of you, this by no means is an exhaustive list. The conference bill is 1101 pages in length and loaded with tax lingo that will take awhile to digest. I will lean on my trusted sources for information and interpretation of these complex tax changes. In the meantime, the best advice I can share with you is to continue doing what you do best, and strive to become the best version of yourself! 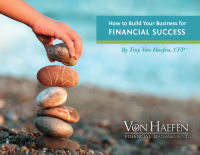 This entry was posted in Business planning, Fee-Only Financial Planning, Savings, Taxes. Bookmark the permalink. ← Dow 22K: Now What?